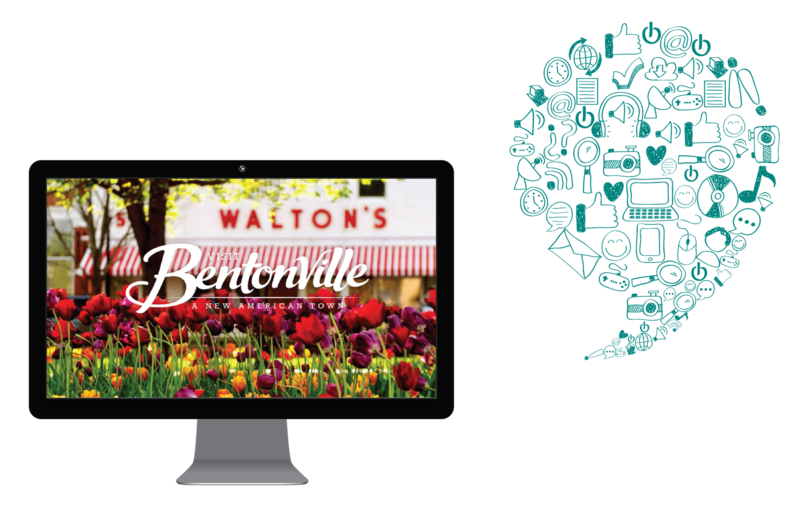 Visit Bentonville is the advertising and promotional arm for the City of Bentonville. Its mission is to contribute to the municipality’s economic development by attracting new people to patronize its businesses, stay in its hotels, enjoy its restaurants and explore its many diverse attractions. 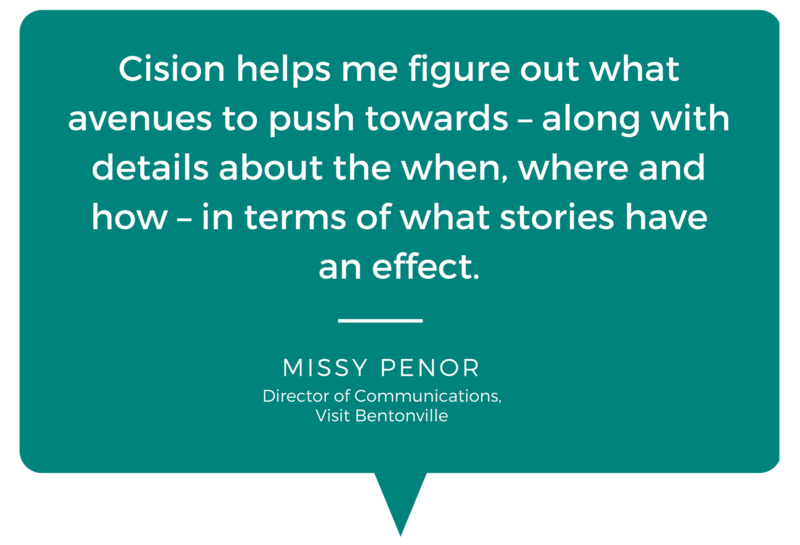 Cision is helping Visit Bentonville realize its vision with Cision Communications Cloud®. Visit Bentonville is like many similar organizations trying to encourage tourism — with one notable difference. Besides all of its other features and amenities, the area is also home to the global corporate headquarters of Walmart, one of the largest and best-known retailers in North America. Penor and her digital director, who handles social media, therefore need to be particularly adept at identifying compelling reasons to experience Bentonville, whether visitors are looking for their next holiday or something to do after meetings on a more professional excursion. Outreach Based on Specific Subject Matter: Some of the most common areas Visit Bentonville focuses on to attract tourists include the arts, biking, music and the culinary scene. While some mainstream news outlets could touch on all of those subjects, there are also a host of more targeted and niche-oriented publications with specific audiences Penor and her team need to find. Cision offers deep insight into the best contacts to pitch this kind of coverage. ROI Reporting for Senior Leadership: Penor needs to regularly brief commissioners and other stakeholders about how she and her team spend their ad dollars and other budgetary resources. “What’s important to me is to get a good economic counter of what the articles are worth to us based on how much I’m pushing information out,” she says. Social Media Boosts: The Visit Bentonville team doesn’t merely rely on coverage in a particular outlet to do all the work. Instead, the team looks regularly at what has been written about the area in Cision and increases its visibility by offering highlights of stories in social media posts. Besides looking at day-to-day coverage opportunities, Visit Bentonville is continuing to grow in areas like sports marketing by becoming recognized as an ideal place for mountain biking events, baseball tournaments, swimming tournaments and more. Given how firmly entrenched it is in the communications process, Penor says she can’t imagine life without Cision Comms Cloud.